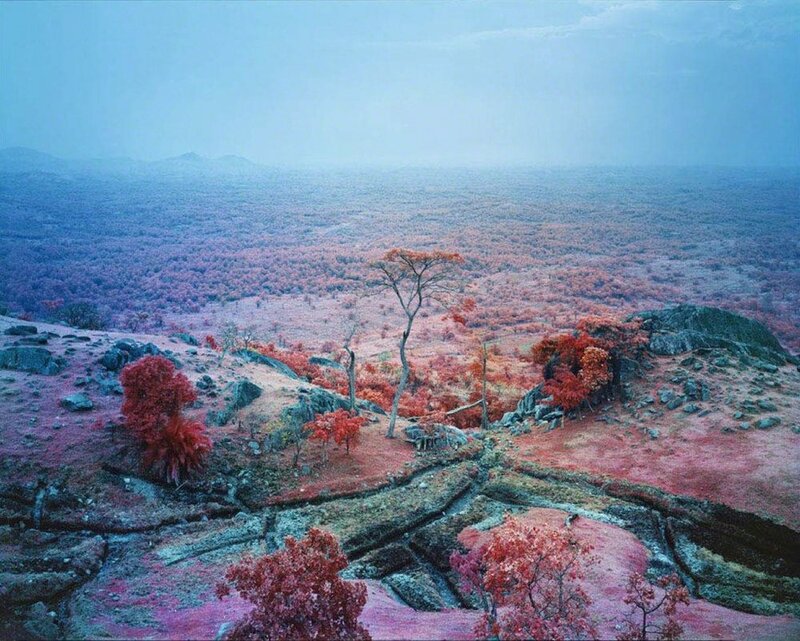 The current American-Iraqi war and the ongoing rebel conflict in the Eastern Congo are among the conflicts Mosse has recorded. 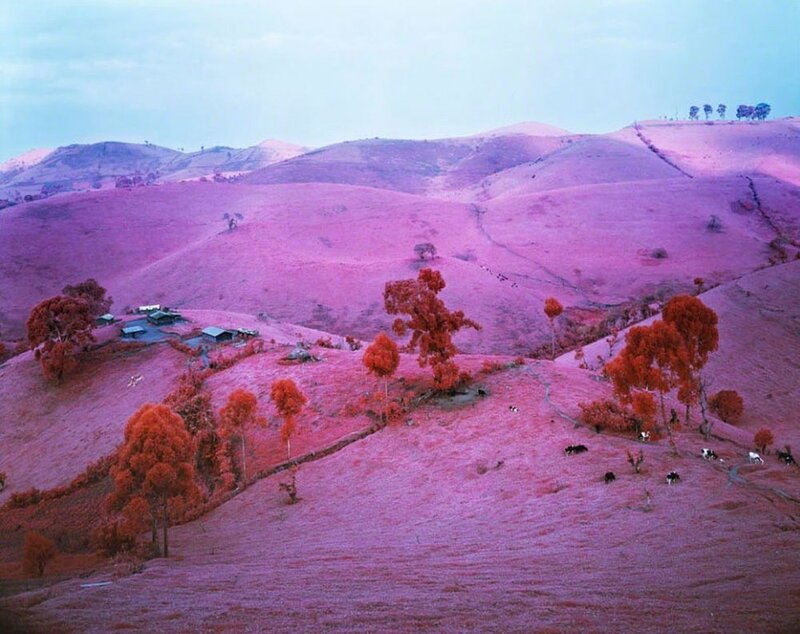 He is best known for “Infra” (2010-11), a series of luridly colored, large-scale photographs of the fighters, inhabitants, and landscapes of the Eastern Congo. 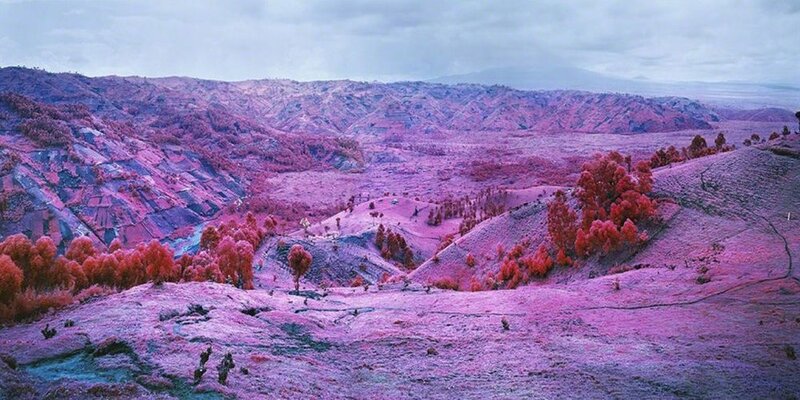 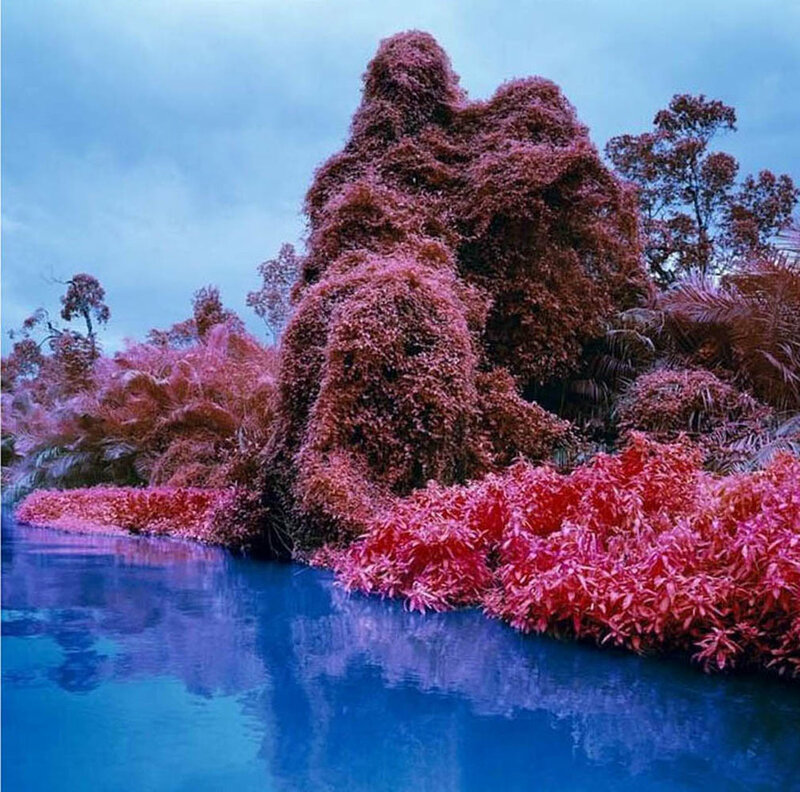 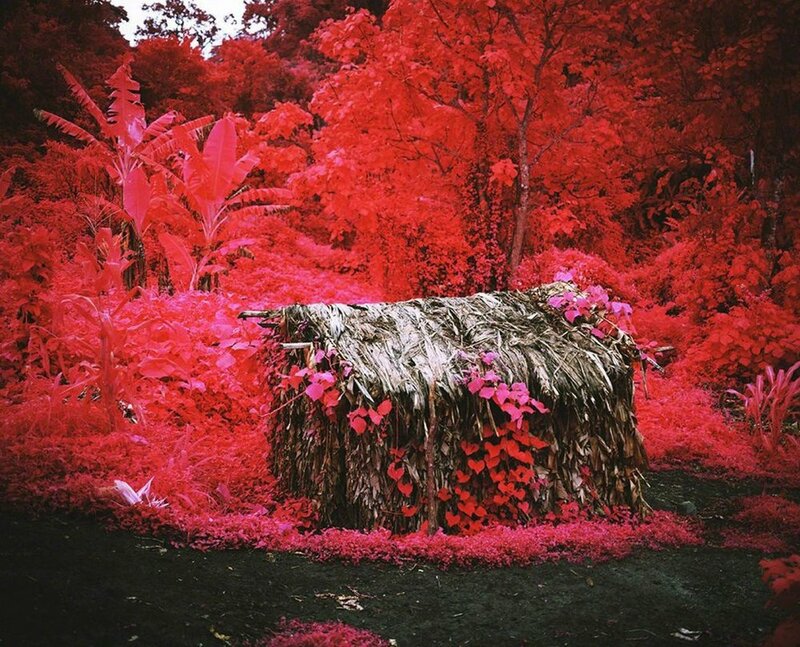 By shooting with Kodak Aerochrome, an infrared surveillance film that renders greens into acid pinks and reds, Mosse offers a searing, psychedelic vision of the warscape and those who suffer within it.